The California native sounds off on what it's like to be one of the only female kaiseki masters in the world. When Jiro Dreams of Sushi director David Gelb was choosing six chefs to feature in his new Netflix series, Chef’s Table, he looked for culinary “outliers.” Ultimately, he landed on five superstars (including Dan Barber, Magnus Nilsson and Francis Mallmann) plus a little-known chef named Niki Nakayama. 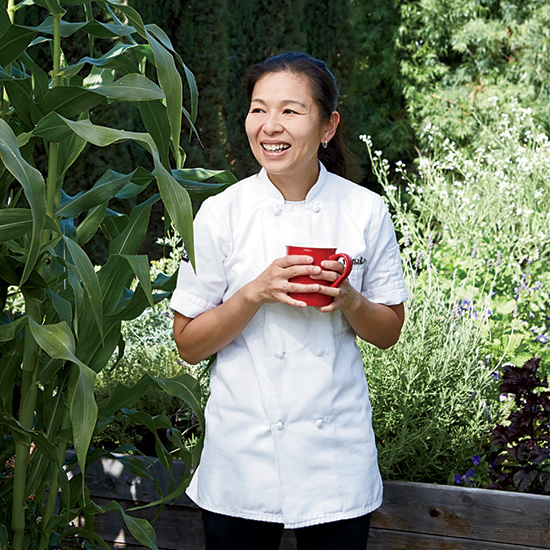 One of the only female kaiseki masters in the world, the California native is used to being an anomaly. At her restaurant n/naka, she might follow a fairly traditional unagi (eel) dish with her signature spaghettini with abalone, truffles and ponzu. Her 13-course tasting menus have won her a cult following of chefs like Michael Voltaggio, but she still struggles with misconceptions about n/naka’s cuisine. “A lot of people come in expecting sushi for every course,” says Nakayama. “I hope the show helps people understand the work that we do.” n-naka.com. See an exclusive clip of Dan Barber in Chef's Table on FWx.